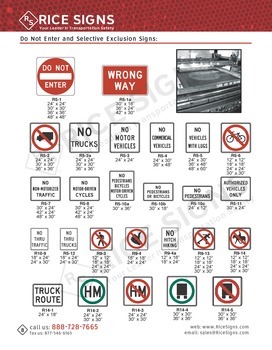 Buy reflective stop signs, speed limit signs, one way signs, and other regulatory highway traffic signs. 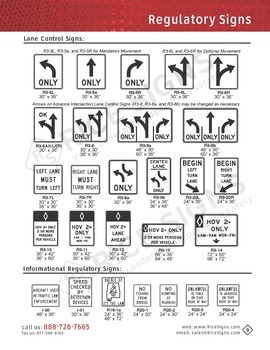 Regulatory traffic signs are some of the most common signs on the road. 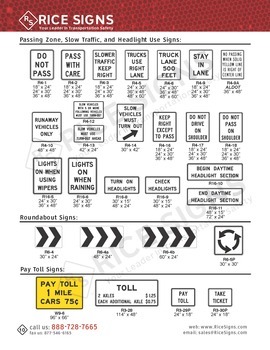 They include Stop Signs, Speed Limit Signs, One Way Signs, Turn Prohibition Signs, Do Not Enter Signs, and other signs that convey the rules of the road to motorists. 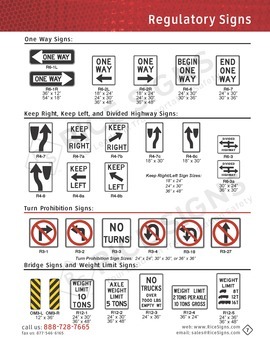 Regulatory signs should be installed at or near where the regulations apply. 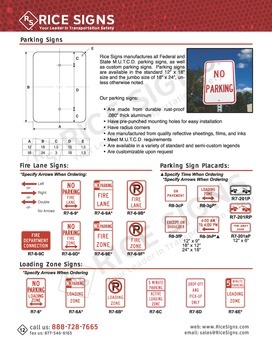 The signs should clearly indicate the requirements imposed by the regulations and should be designed and installed to provide adequate visibility and legibilty in order to obtain compliance. 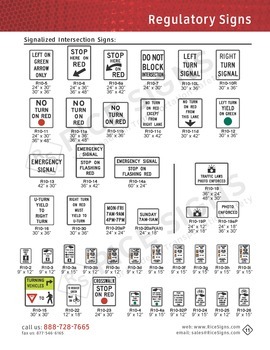 Stop Signs are among the most common traffic signs. 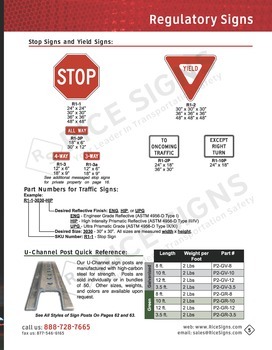 Federal compliant reflective stop signs are in stock for fast shipment. Customize any Speed Limit with your speed. 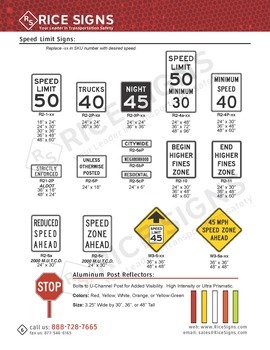 We have hundreds of speed limit traffic signs in stock. Shop One Way Street Signs. One Way left or right signs in two styles. Show traffic which way to go with one way signs.